Among a few of the other changes that appeared in yesterday's third Android O Developer Preview, a new icon shape has appeared. Joining its squircle, rounded square, square, and circular brethren, Pixel Launcher users have the option to make their icons teardrop-shaped. 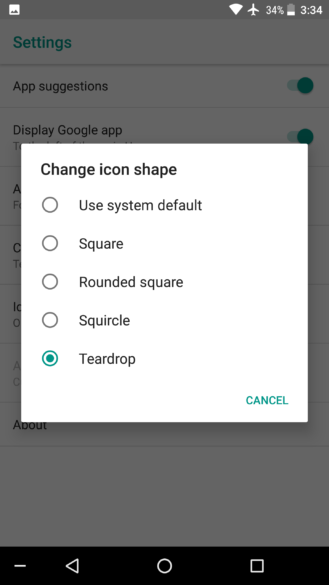 I think that the teardrop looks more like a chat bubble, like the Allo icon. 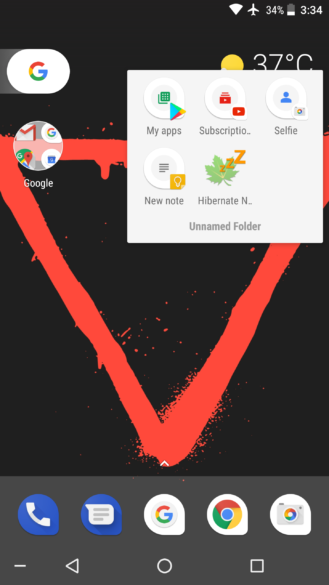 Regardless of my feelings on the matter, this new option seems to be working with most devices on DP3 and the Pixel Launcher (Nexus 6P included). Like some of the other changes present in the new Dev Preview, this one is quite small. Even so, there is probably someone out there who will enjoy this.